Just the other day, we told you about an alleged trip through the AnTuTu benchmark site made by a Samsung Galaxy Note 3 unit. The unannounced phablet scored an impressive 33,082 tally with a processor clocked at 1.9GHz and with Android 4.2.2. driving Miss Daisy. At the time the thought was that this device was being powered by a Qualcomm Snapdragon 800 due to the clock speed and score. Now, there is speculation brewing that this high score was achieved using the Samsung Exynos 5420. This is the enhanced and evolved version of the Octa-core chip that Samsung said would be introduced this coming week. Another version of the Samsung Galaxy Note 3, this time the SM-N900V ('V' for Verizon) took the AnTuTu benchmark test and wound up with a score of 28,786. According to the site, this version of the phablet ran with a 2.3GHz Qualcomm Snapdragon 800 processor under the hood. This model also had Android 4.2.2 installed. If we've nailed the make up of the processor on each model, it certainly says something about the Samsung Exynos 5420. 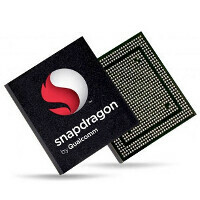 The two tests also would seem to indicate that the Korean manufacturer will continue the strategy used on the Samsung Galaxy S4 of using its home-grown silicon on the international version of the device and counting on a Qualcomm Snapdragon processor in the U.S.
Nice, Note3 my next phablet. Ouch, looks like those who really wanted the Exynos 5 Octa (or even the 'enhanced' version) will be getting re-jec-ted! I don't doubt the story would be the same for the other carriers too. As a current Note 2 owner this new Exynos 5 and the Snapdragon 800 both are crazy upgrades. It's like saying a Bugatti Veyron Super Sport (267mph) is faster than a Lamborghini Aventador (219mph). I think if exynos octa have lte I think they should use Exynos octa here in Philippines coz I really like Exynos Chipsets coz they are so powerful. No... I don't want a S800 chip. I want the Exynos Octa 5420 running the show. +1. Why does Sammy do this to themselves? No one wants to have a red-headed stepchild. It may be time to wait and see what the competition puts up against the Note III. I am happy with my Note II. It would seem the imperative to upgrade just got a bit less. IDK about 99.99%. Maybe 95%. GIve technically knowledgable consumers some credit. Were the Minority, DXD. Lol, if anything, we are less than the 0.01%. To be honest I think Samsung needs Qualcomm because they could never supply enough Exynos 5420 to meet the demand. Samsung sells too many phones to just be the lone supplier of EVERYTHING. Exynos / S800, WHICH ONE IS BEST?!!?? The S800 is better than the original Exynos octo but it appears this new Octo is better than the S800. I just know that which ever one they pick it will kill my Note 2 Exynos 4.
going to be a tough battle between Note 3, Z Ultra, Optimus G Pro, K900 from Lenovo and that Asus whatever-Pad, awesome! Why is the benchmark kinda low compared to the other phone test with a snapdragon 800 in them? Because of TouchWiz I guess. Running quite heavy. Maybe it's a PenTile display that will be harder for the device to draw. Or a combination. I think smartphone is already powerful enough. We need bigger battery and more internal storage. 4500mh+ and 64gb would be phenomenal for Note 3.